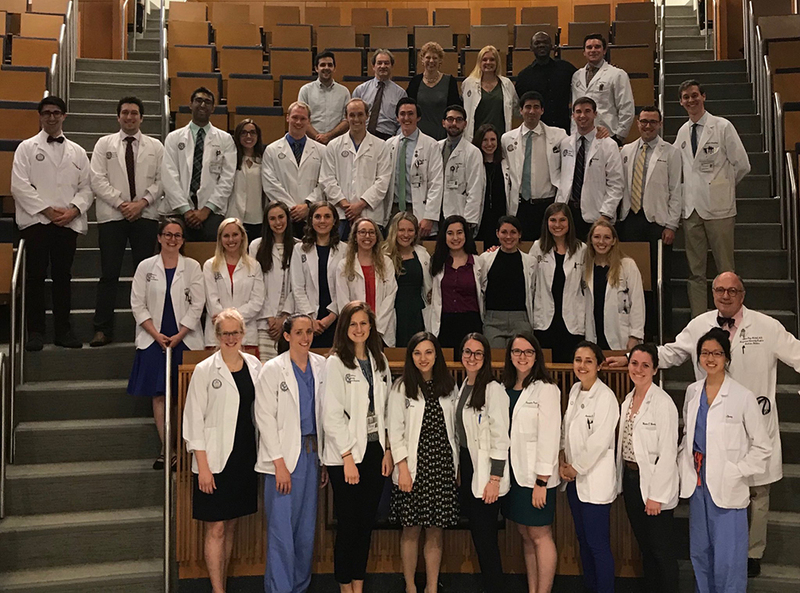 This is an excerpt of the keynote speech given by Jack Penner at the 2018 induction ceremony for the Gold Humanism Honor Society chapter at Georgetown University School of Medicine. Dr. Penner is also a 2018 Leonard Tow Humanism in Medicine Award recipient. He will be entering residency in Internal Medicine at UCSF as a member of the UCPC Primary Care Track. But if we are going to talk about quality and excellence, we must first be very clear about what the two words mean. 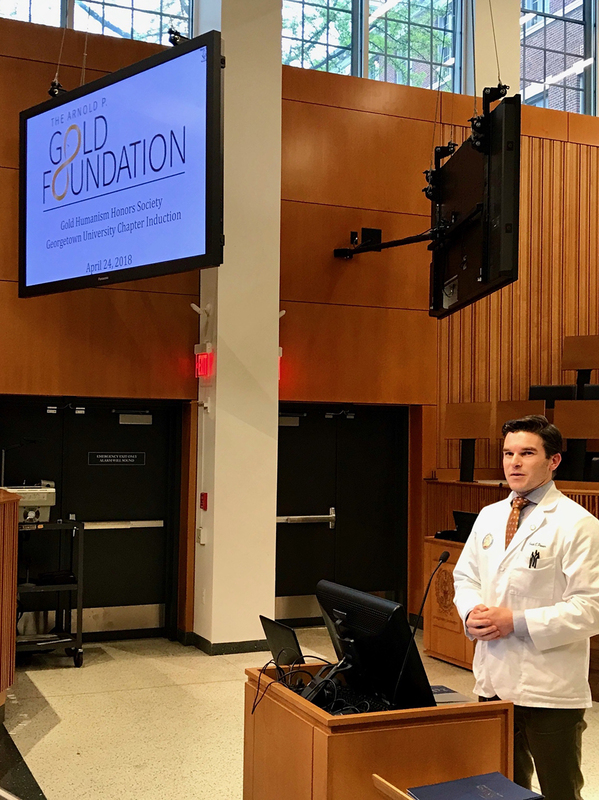 Jack Penner gives the 2018 keynote speech at the Gold Humanism Honor Society induction ceremony at Georgetown University School of Medicine. Because excellence is not a measure, or a statistic, or a check box on a check list. Excellence is a feeling. Excellence is a moment. I am convinced that these painful reflections are a necessity, as they allow us to discover ways we can infuse excellence into a world that sometimes over-prioritizes quality. 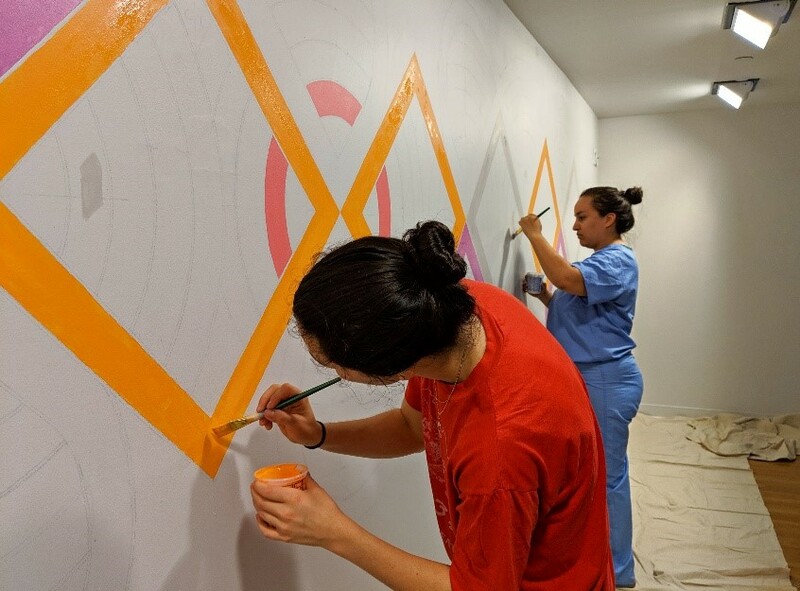 When we do, when we move along the spectrum from meeting metrics to going far beyond them, we engage in the excellence that looks like the art of medicine. But, excellence today is not the same as excellence 50 years ago, because medicine today is not the same as medicine 50 years ago.